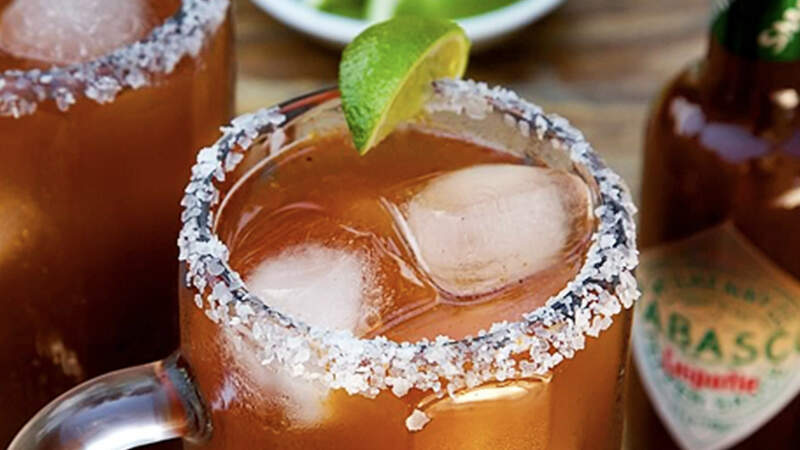 For a twist on the classic Michelada cocktail, try this Cielo Rojo Michelada recipe, which adds a smoky kick of chipotle heat. TABASCO® brand Chipotle Pepper Sauce --- 2 tsp. Mexican beer --- 12 oz. Soy sauce --- 1 tsp. Worcestershire sauce --- 1/2 tsp. Black pepper --- 1/2 tsp. Lime wedges --- 2 ea. Fill two salt-rimmed beer mugs with ice. In a pitcher, combine beer, clam & tomato juice, lime juice, TABASCO® Chipotle Sauce, soy sauce and Worcester sauce, and stir well. Pour into mugs and garnish with lime wedges. Cost Per Serving* $3.49 Total Profit $--.-- *Based on FDA average pricing for ingredients.